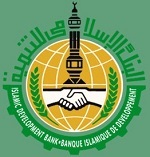 The Bank established the IDB Prizes for Science and Technology in 1422H (2001G). These prizes underscore the commitment to mustering the application of relevant contemporary scientific advancement for the socio-economic welfare of Member Countries by rewarding excellence among the academic and research institutions. To encourage more young statisticians to take an active interest in official statistics, the International Association for Official Statistics (IAOS) – an association under the International Statistical Institute (ISI) – has announced its next annual competition for the best paper in the field of official statistics written by a young statistician. In addition to the monetary prizes, the first place winner will receive travel funds to present the paper at one of the sessions of the next IAOS Conference to be held in Abu Dhabi, United Arab Emirates on 6-8 December 2016.